The future of NATO will see the alliance move close to Russia’s backyard as Georgia becomes a member. That was reaffirmed during the joint press conference held in Tbilisi, after the meeting of the country’s prime minister Mamuka Bakhtadze with the NATO secretary general Jens Stoltenberg. The visit took place during a joint NATO-Georgian exercise, hosted by the NATO-Georgia Joint Training Centre, which was constructed in 2015. During the meeting, the two officials discussed regional security issues, including those related to the occupation of 20% of Georgia’s territories by Russia, the reforms followed by Tbilisi in the fields of parliament’s power in overseeing the security sector; the judiciary; and the armed forces to modernise their combat capabilities and their institutions. Both leaders reaffirmed that joining NATO is not a political decision but rather an expression of the Georgian people’s will, also reflected as a provision in the recent constitution, and of the 29 member states that will have to vote for the admission of the country in the alliance. 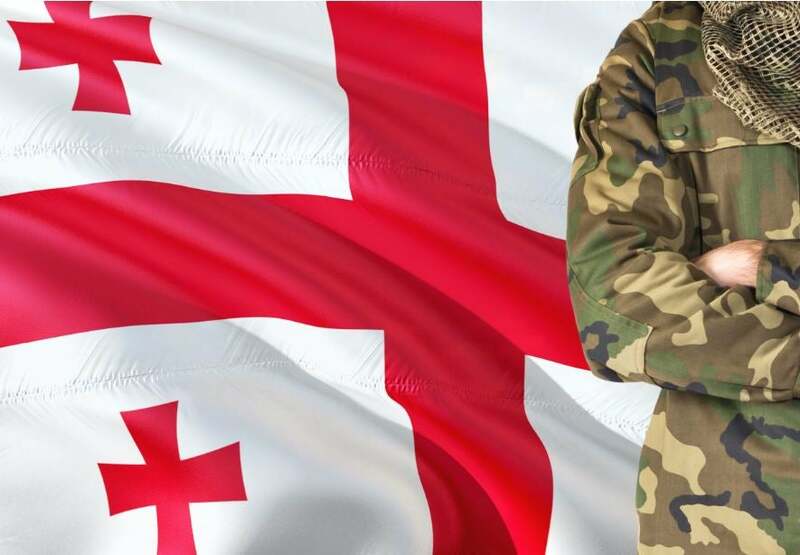 From now until that day Georgia will have to implement a series of reforms that will bring its armed forces into NATO standards. However, no deadline or timeframe has been given on how long the reforms would take or when the admittance into the alliance would take place. The two men were clear that NATO membership is not a move against Russia. As with its invasion of Georgia in 2008 and Ukraine in 2014, Moscow has been adamant that it would not allow any of these two countries to become members of NATO, as it could provoke a conflict, according to a 2018 statement by former Russian President Dmitry Medvedev. When asked about how realistic it would be for Georgia to join NATO before resolving the issue in South Ossetia and Abkhazia, Mr. J. Stoltenberg stated that the two regions are part of Georgia but declined to provide any further details about the issue and stated that NATO would continue to support the ongoing talks in Geneva and provide support for the country’s membership. Georgia is already the largest non-NATO contributor of forces in Afghanistan and is committed to spend 2% of its GDP on defence, as per the alliance’s decision. Besides the common exercises with Georgian forces, NATO is gradually increasing its presence in the Black Sea. After the annexation of Crimea, Russia has expanded its presence in the region and showed its force on many incidents. Georgia’s membership could offer additional, valuable ports for the NATO naval forces, especially the US ones, in a period of deteriorating relations with Turkey. That could also be considered with regards to the plan to construct a deep-water harbour in Anaklia, which would not only allow large naval units to be deployed from the eastern part of the Black Sea but would allow the Georgian port to take over Novorossiysk’s prime regional role in China’s “Silk Road”. Such a development would result in financial losses by the Russian side. The new deep-water port project has had many delays due to alleged mismanagement and corruption accusations, but the Georgian Prime Minister reiterated his will to fully implement it, as the advantages for the country’s economy would be significant. Once implemented, Georgia’s path to NATO membership will be the first expansion of the North-Atlantic alliance not just to the east but to Russia’s backyard; the Caucasus region. A natural border, that both during the Soviet-era and now, Russia has tried to safeguard militarily and politically through cooperation and military organisations with countries of the region. That can partially explain NATO’s cautious steps and strong interest at the same time, to increase its footprint in the Black Sea region. The future developments will be interesting as Russia would be expected to show its determination to protect its interests in the area.